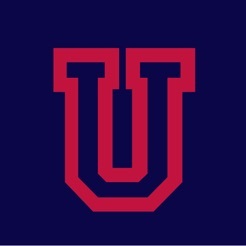 Grade U Need is a grade management utility that goes beyond just keeping track of the grades you’ve already earned: it tells you the grade you need on your next assignment to reach the final grade you’re aiming for in the course. 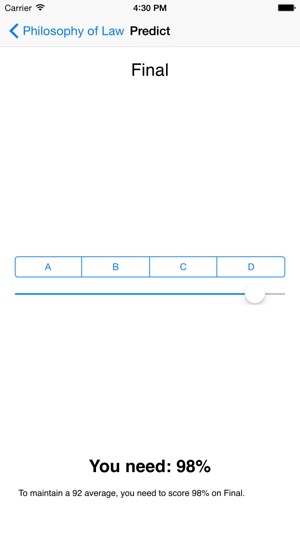 Your overall grade target becomes your default target, but you can still see what you need on each assignment to get an A, B, C, or D (by selecting the appropriate button) or by using the slider to determine what you need for a particular number grade in the course. 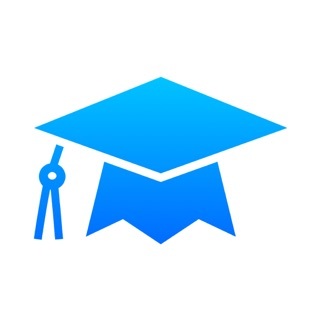 Track multiple courses at once, and edit courses and grades even after the fact. Fixed a crashing bug when trying to create assignments. Updated code for Swift 2. 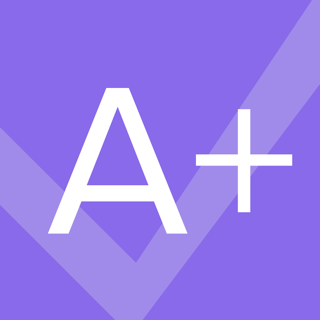 This is the best app available for keeping track of all of your grades. 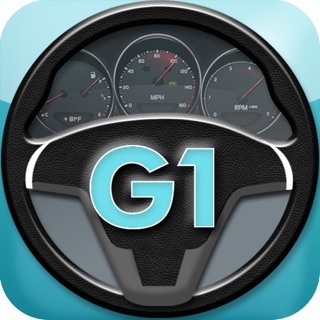 If you want to have an idea as to where you stand instead of just making a guess, this is the app for you. Coupled with other organizational habits, this app can really help you bring down your stress level when dealing with classes. Got a bad grade on a recent test/paper? 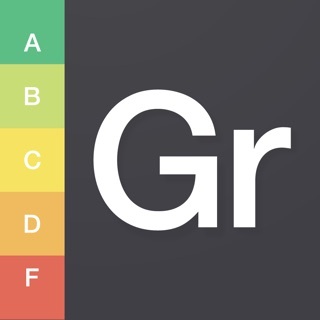 This app shows how much it affects your overall grade for the course. Only thing I wish it could do was help me figure out how my professors calculate class participation grades, but that's not a real complaint. Great work! Now all you need is an iPad port! Very nice, straightforward app. 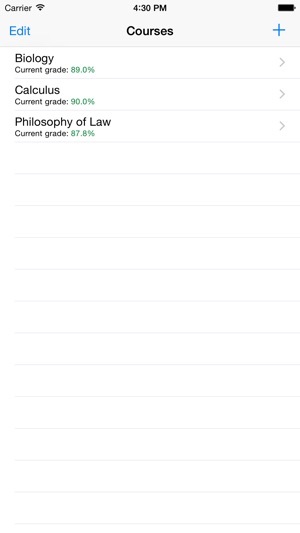 The update makes it even better, because now it's easier to see what you need on the predict your grade page. I like the fact that the graphics are simple and easy to look at--no annoying fonts or stupid background graphics--just grade calculation and prediction. 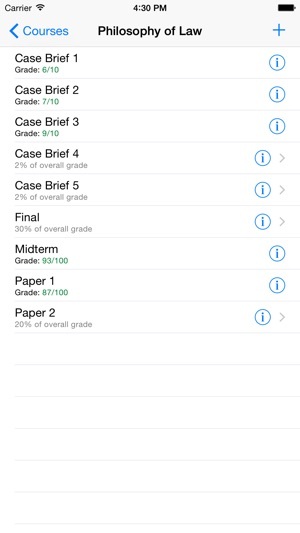 Great way to keep track of your grades and is very simple and user friendly. Highly recommended for students who want to stay on top of their grades.